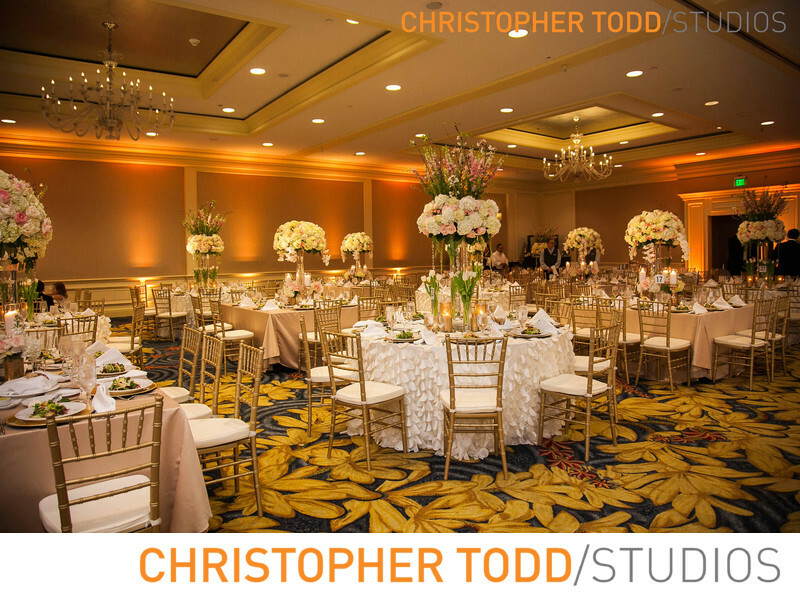 We take photos of the reception room in this case it was the ballroom at the Ritz Carlton Marina del Rey. These photos are a great way to document the wedding day events and details so the bride and groom can have these memories captured forever. It is an important part of telling the stroy of a bride and groom's wedding. 1/50; f/4.0; ISO 2500; 24.0 mm.